Wow. A Scimitar SS1 in the US. During its run, the SS1 was available with 4 engines; 1.3, 1.4 and 1.6 liter Ford engines and, in 1986, a Nissan 1800cc turbocharged engine. 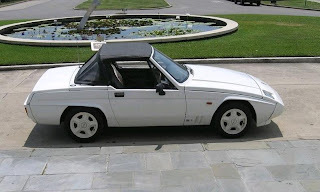 The suspension was "inspired" by the Lotus Elan and the Scimitar SS1 is said to handle very well. 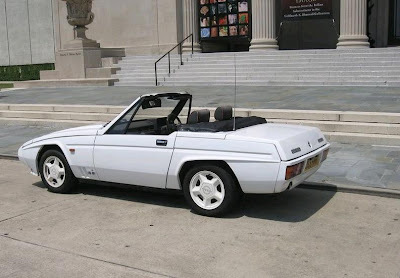 The body construction was similar to the Pontiac Fiero. Unstressed plastic panels were attached to a steel frame. That was pretty high tech stuff for a small manufacturer in the early 1980s. This car is interesting. The seller says its a 1986 and it clearly has an SS1 1600 badge on the back. But in the text he claims it has a 1300cc engine. To the best of my knowledge, the 1600 designation should mean that it has a 1600cc engine, not a 1300. 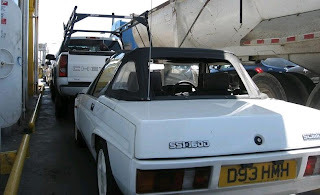 Does this car have the wrong badge or the wrong engine? Or, did Reliant make some SS1 1600s with 1300cc engines? 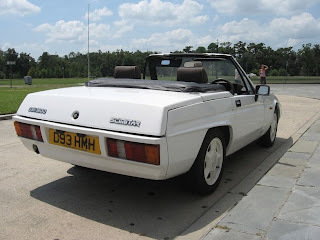 Any Reliant Scimitar SS1 aficionados out there? The engine mystery aside, the rest of the car looks to be in good condition. 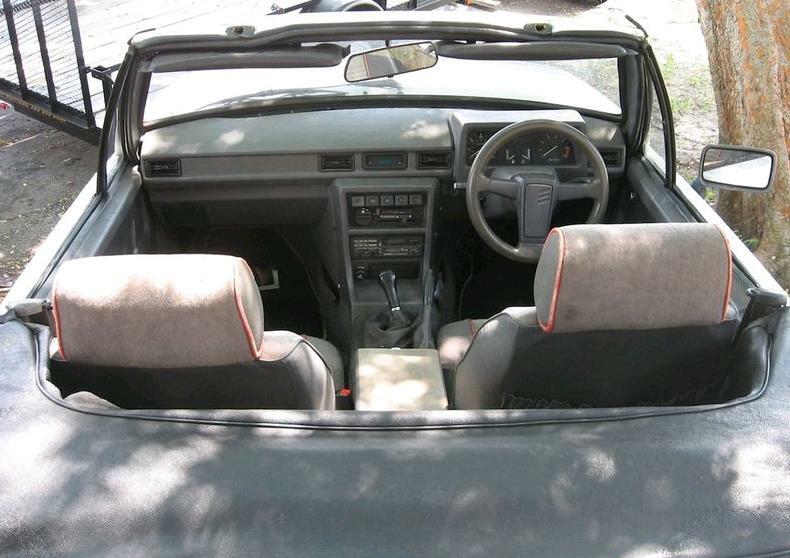 There are a few minor body flaws and the interior shows some wear, but that's to be expected on a 25 year old car. Body panels aside, parts for these cars are not too tough to come by if you know where to find them. Like most small manufacturers, Reliant raided the bigger car companies parts bins. 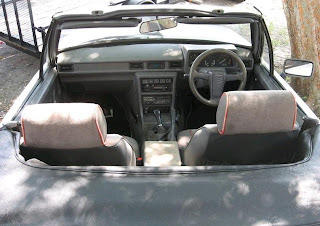 The instrument cluster is from an MG Metro, the steering rack is from a Vauxhall, brakes are Austin / Rover sourced, etc., etc. If you're looking for a car that's very rare in the US - I've only heard of one other one - and is a piece of automotive history - the last affordable British roadster - this would be a great car to own. The Scimitar always seemed like a Lego car to me. Made of so many different parts that it almost has no identity. 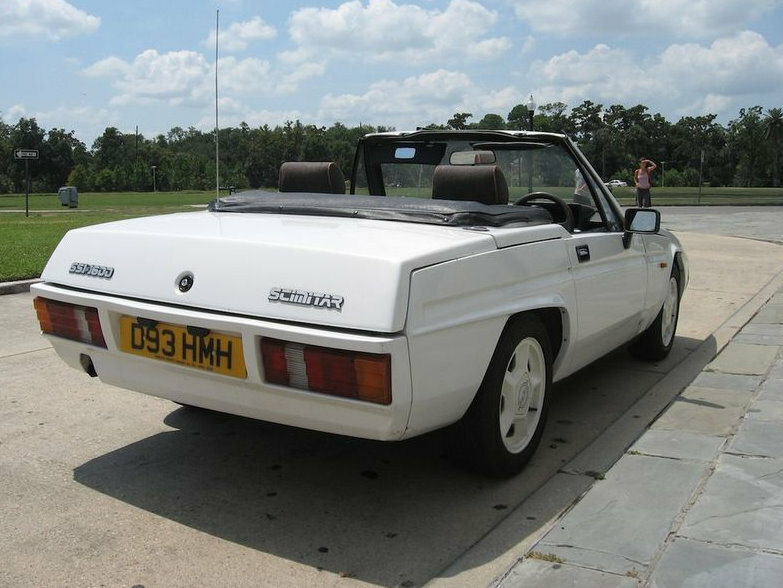 Aesthetically, part FSO Polonez, part BMW Z1, the rear kind of reminds me of a Lotus Elite.. with a bit of Aussie Capri mixed in. Odd. But odd is GOOD. We have guys in the UK who have exchanged the standard 1800Ti S12 Nissan engine for the S13 Twin Cam putting out in excess of 300BHP. That does tend to alter the performance somewhat (ie. Ferrari Eaters ! )..